Lia and Rafe have escaped Venda and the path before them is winding and dangerous - what will happen now? This third and final book in The Remnant Chronicles is not to be missed. 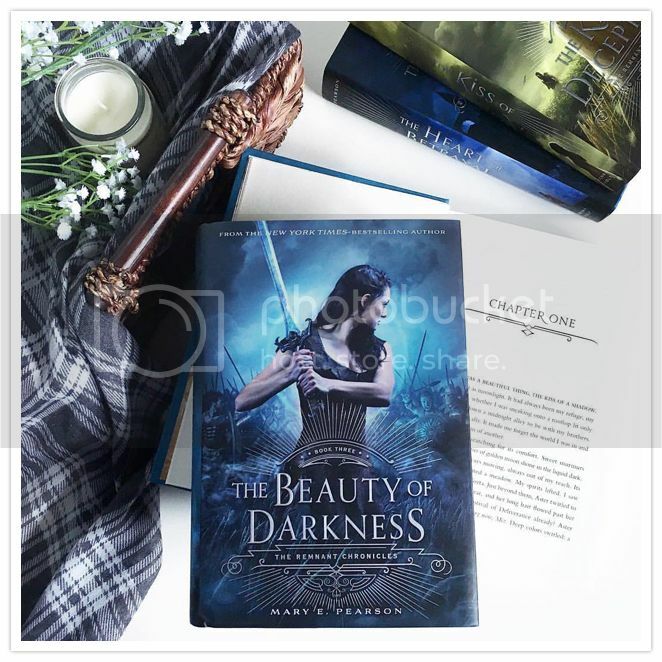 The Beauty of Darkness is the third and final book in the Remnant Chronicles series by Mary E. Pearson, and it's also one of my most anticipated reads for 2016. Let me tell you, I was totally not sure what to expect from this book, but, I absolutely loved everything about it. This book is gorgeous and massive and totally worth the wait. I loved all 679 pages of it. When we first met Lia in The Kiss of Deception, I knew she would be an all-time favorite of mine. She's always been such a strong character. She has proven time and time again throughout this series that she is a smart, capable young woman, and an excellent leader. She fights for what she thinks is right, and is willing to do it all on her own if she needs to. Luckily she had great friends at her back, all of who were supportive and love her just as much as I do. And there are SO many great secondary characters in this story as well, and I love that we get to see some of the story from their eyes as well as Lia's. Pauline, Gwenyth and Berdi are such great friends to Lia, and are right there when she needs them. The men in the story are great as well, always backing Lia and the decisions she made. I've been team Rafe from the beginning, because I just love everything about him, but, like Lia, I also have a place in my heart for Kaden. These men, I love them. I could go on and on about the rest of the characters, but I'll stop here. Read the books and meet them for yourself! After the MASSIVE cliffhanger ending in The Heart of Betrayal, I had no idea what was going to happen in this final book, but the adventure Pearson takes us on is a wild, satisfying ride. The details in this book were amazing, and the storyline was completely addictive. The ending of the book had me sighing, which a huge smile on my face and happy tears in my eyes. It was perfection. I really couldn't have asked for a better ending. I really, really hate to see this series end, you guys. I love these books so much, these words aren't doing a great job of describing my adoration at all. 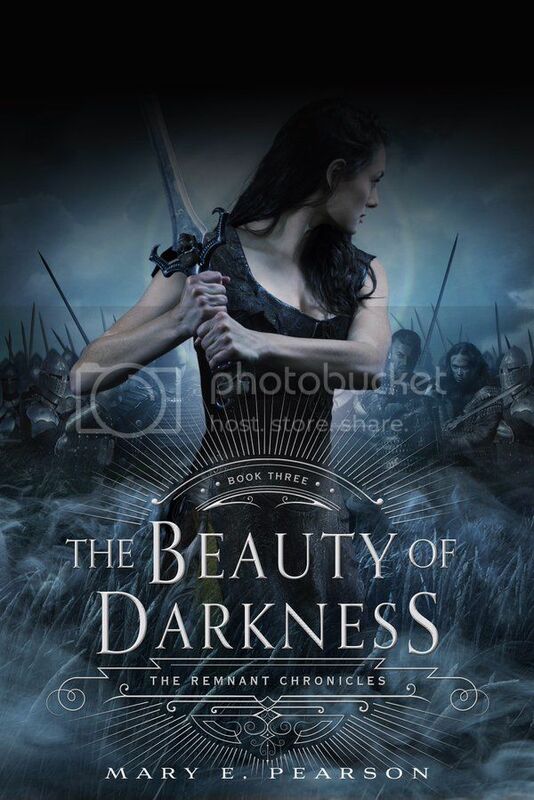 Overall; The Beauty of Darkness is an excellent conclusion to a wonderful series! If love you a good fantasy, and have not yet check out the Remnant Chronicles series, I highly recommend that you do so. 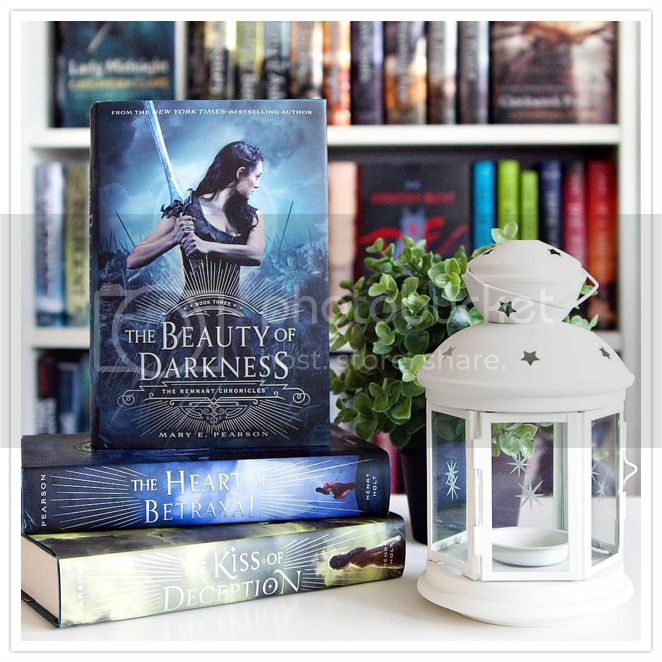 This is by far one of my most favorite trilogies ever, and while I'm SO sad that the series has come to an end, I can't wait to read the books over and over again in the future. Check them out! !